It’s time for our November ‘Adults Only’ event, which gives our guests a chance to meet up with their friends and have a relaxing time in our beautiful studio. 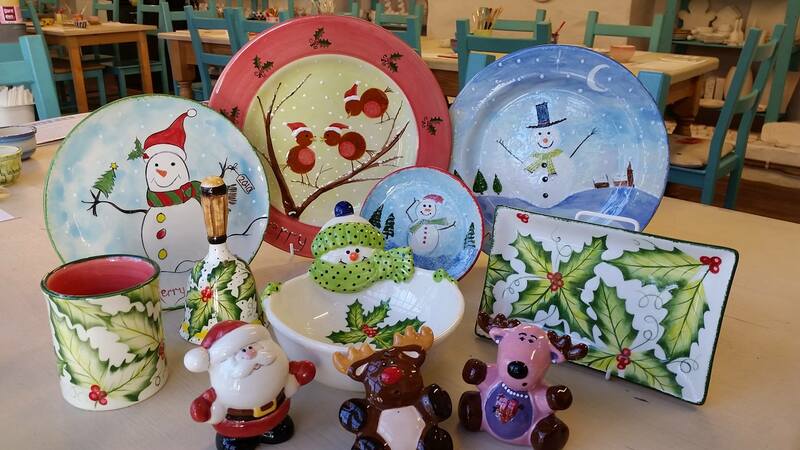 Why not come along and paint a unique gift for your family & friends for Christmas. Maybe a bowl to put yummy choccy’s in or personalise a plate or bauble! Its a lovely relaxing way to wrap up Christmas shopping!! There’s no entrance fee, it just depends on which piece you pick, so you can spend as little as £10 or as much as £40. Booking is essential please ring 823244 or send a message to book your place.